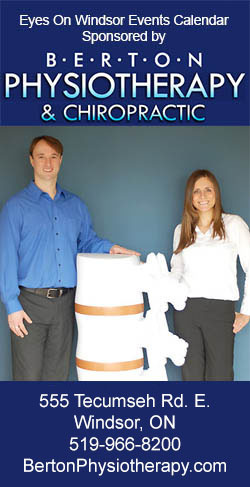 Posted on April 29, 2013 by Eric Bonnici wrote in Restaurant News. It has 0 Comment. It’s official the new Hummazing location in Devonshire Mall near Target is open with some savoury new menu items to tantalize your taste buds. As you probably know a few weeks ago Hummazing shut down their original location at the mall and have been keeping busy preparing to re-open the new one. Of course, Hummazing faced CBC’s Dragon’s Den too during this down period. All they can tell us for now is that the Dragons had nothing but good things to say. Just one day before the reopening I was able to get a sneak peek inside and have only good things to say too! 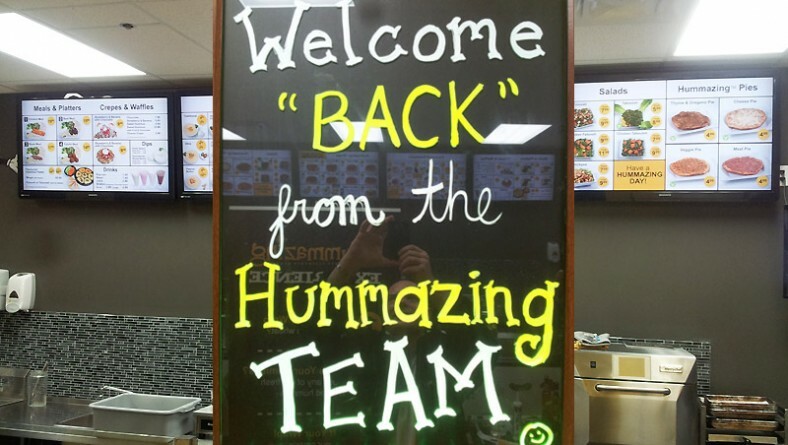 Obviously, Team Hummazing has been working hard at not only facing the Dragons but at setting up their new location and developing their menu. The new location is roomier with a big beautiful HD digital display menu showcasing a great selection of healthy eats. When you enter the new location you’ll see Hummazing’s new mascot Chip The Chick Pea on the entrance sign and on the walls telling you some interesting facts in the cartoon bubbles above his head. 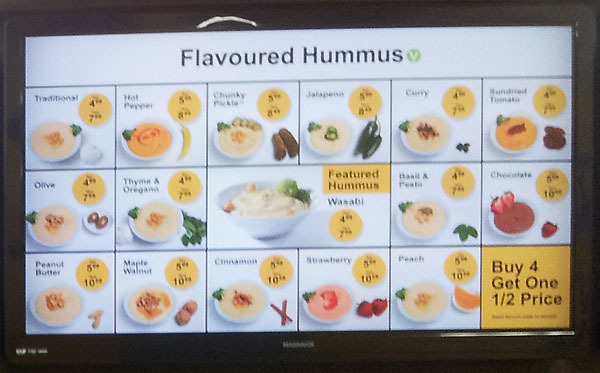 The first thing I noticed was a few new menu items like Hummazing Pies, Steak and Egg Wraps, 4 Healthy Meal Combos, Mexicana Chicken Wrap, and the all new Wasabi Flavoured Hummazing Hummus. 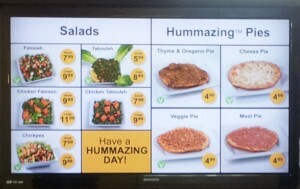 “Hummazing Pies are actually a popular Middle Eastern food called manakish,” says co-owner Fadi Dandachi. It’s a flat dough that is kneaded and pushed to create indents with the fingers for the toppings. The new menu offers four versions of Hummazing Pies, three which are vegan friendly, including Thyme and oregano, cheese, veggie, and meat pies. The steak and egg wrap was another new item on the menu. Dandichi informed me it is relatively new but has been on the menu for a little while. Judging from the piture on the digital menu display it will make a filling tasty breakfast. 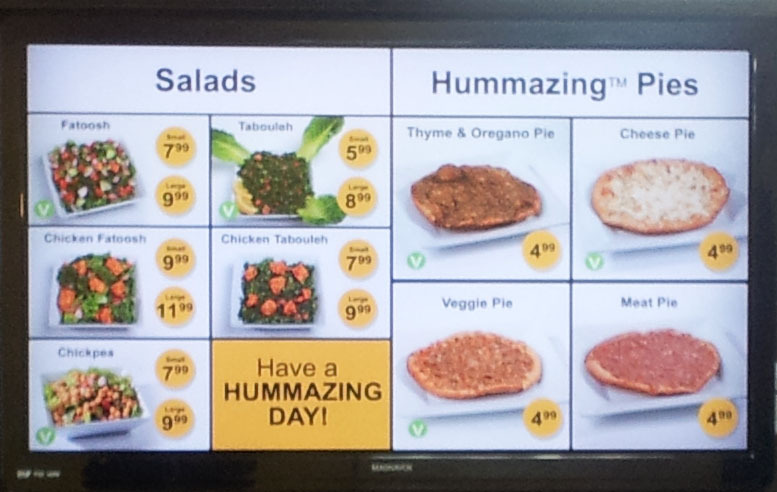 The four Hummazing Meal Combos, all healthy choices, also stood out on the menu. They include chicken, beef, steak, and falafel. The falafel is unique because it is baked instead of being deep fried as is the traditional Middle Eastern cuisine preparation. Just below the meal combos were mouth watering photos of their catering platters including the Flavoured Hummus Platter, The Wraps Platter, and Fatoosh or Tabouleh platters. 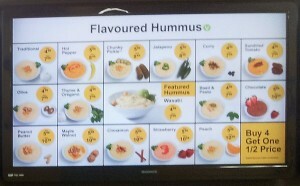 Another menu display showcased the many flavoured varieties of hummus available. If you purchase 4 you’ll get one for half price. Some include basil and pesto hummus, chocolate hummus (yes chocolate), sun-dried tomato hummus, chunky pickle hummus, thyme and oregano hummus, and traditional hummus to name a few. Their new flavour, Wasabi Hummus, stood out on this screen. 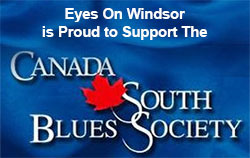 Not only is it new but it’s the featured flavour of the month. “It’s very tasty, hot, and spicy,” says Dandachi. So lovers of spicy food rejoice! As a side note: Did you know that the first two flavours of hummus offered by Hummazing were traditional and hot pepper and had humble beginnings in co-owner Chef Rami Chatley’s basement kitchen? The Mexicana Chicken Wrap is new on the menu and deviates a bit from the Middle Eastern themed choices. This new addition will delight those who enjoy Southwest / Mexican cuisine. Best of all almost everything on the menu is healthy. Not only that but gluten free wraps are available too as showcased on the display menu. In fact, Team Hummazing is sure to change gloves and wipe down the counter between each wrap they prepare to prevent gluten contamination. You’ll be glad to know, everything is made with fresh quality ingredients in house. There’s no factory produced hummus here and the quality and flavour of everything Hummazing offers is something your taste buds will definitely take notice of.